Is Cacao Better Than Cocoa? Today I was asked if I had made a mistake in one of my recipes for a smoothie containing cocoa. 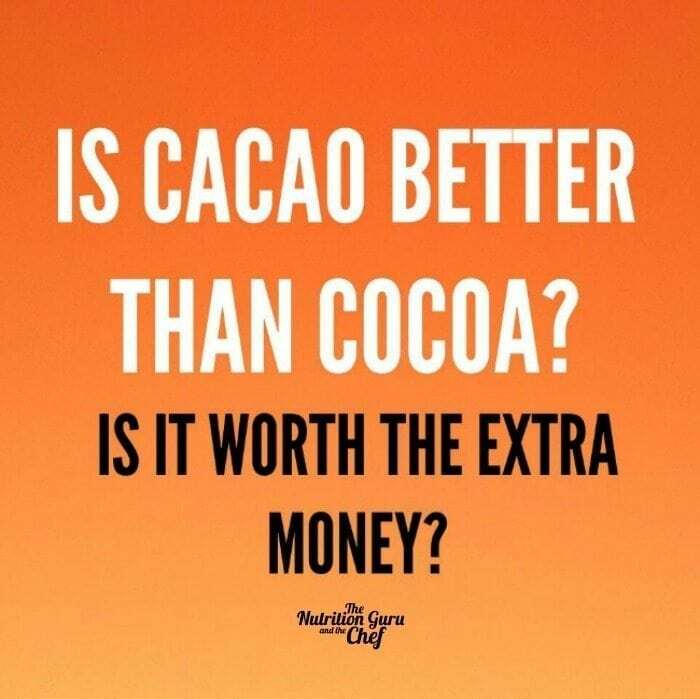 It’s a great question, as cacao has exploded onto the health food scene lately. I didn’t make a mistake in the recipe, I purposely chose to use the humble (and much less expensive) cocoa. And, YES plain old cocoa does contain nutrition. Cacao is the unprocessed cocoa bean. It is popular because it contains high levels of nutrients such a flavanoids, theobromine, magnesium and a range of antioxidants. It has been handled less and is closer to its natural state. Cacao sells for approximately 6 x higher than cocoa. The next step is to take this cacao and process it to produce the cheaper version – cocoa. The word on the internet street is that cocoa is far less superior to cacao. I am a huge fan of cocoa powder as it also contains very high levels of potassium which is crucial for protecting out heart and keeping our blood pressure under control. It contains magnesium, antioxidants to protect against cancer, and theobromine (a stimulant, diuretic and widens the blood vessels). Interestingly, many of the studies linking heart and brain protective benefits of chocolate have used the humble cocoa in the studies NOT cacao. Most importantly, it is very cheap and accessible to everyone. So is Cacao Worth It? I see a lot of baking recipes calling for ‘raw cacao’. Remember, cacao is the raw, unheated bean. The issue with using cacao in baking is that the heat from cooking it, will damage many of the properties that cacao is prized for, such as antioxidants. So I never use cacao in a baking recipe, as it’s just money down the drain. Keep the cacao for raw desserts, smoothies, bliss balls and those dishes where you won’t be heating it. Cacao farmers in countries such as Africa get paid shockingly low wages to do back breaking labour in terrible conditions on the cacao farms in order to bring us our fancy cacao which we pay exorbitant prices for. Something to think about before purchasing your $20 bag 🙂 There are some good fair trade options available. 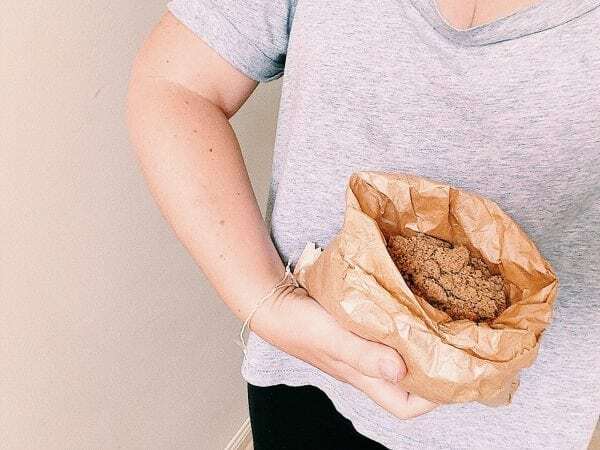 For the price, the humble cocoa powder still carries many nutritional benefits and is a great addition to smoothies or bliss balls for that cheeky chocolate hit. Be sure to choose a cocoa powder where the only ingredient is ‘cocoa’ and not one with added sugar, milk powders and other things.